Parents who have at least one children are often faced with the decision on if they’re going to use child care. Many working parents don’t have a choice on placing their kids in daycare while others want to decide if they’ll return back to work. When considering child care for an infant or toddler, there are a few benefits to the service. Children who spend time at home with their parents often don’t have interaction with other kids during the day. This can make them extremely needy and reliant on the parents when they want to be entertained. A licensed home daycare can allow kids to make friends in a fun setting, which can encourage children to become confident and learn how to get along with other individuals who are their age. Studies show that parents who stay home with their children during the day are more likely to experience emotional problems and stress over the years. Placing children in daycare can offer an outlet for parents who may be struggling to stay home during the day, which can negatively affect the children. This can increase the level of care for the child and allow them to thrive by having parents who are emotionally stable. One of the many benefits of placing a child in daycare is that their behavior can improve as they develop. They’ll have to learn how to solve problems, share, and work in teams. This will allow them to become more flexible in different settings instead of becoming accustomed to an environment where they’re alone. Many child care providers also have strong educational backgrounds, which can help them steward the attitudes of the child and help them develop mentally. This can allow children to learn how to obey authority both in and outside of the home, which will make it easier for parents to raise their children. 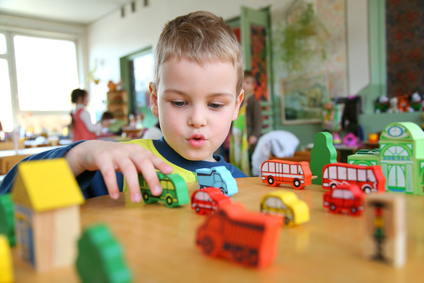 Studies show that children who are placed in daycare have higher levels of intellect because they’re in an environment where they can observe their surroundings on a consistent basis. They’re also able to participate in parallel play instead of playing alone. This can improve how well they get along with others and allows them to learn from their peers in a group setting. Although children are more prone to get sick in the first years of their life as they’re placed in daycare, they can still benefit from the illnesses over time. Being exposed to germs and colds early on can allow kids to develop a stronger immune system, which can help them combat various types of sickness as they grow and develop.